After yesterday’s mild sickness, I wasn’t ready to jump into extreme-tourist mode. Instead, I told myself that I could go out in the morning when the sun was not too hot and come back to snooze around noon. The slope from the hostel to the main street is rather steep. I imagined that it would be fun going down on a bicycle (if only there were no cars at all). Near the hostel (actually, a bit far) is a supermarket. Upstairs is Dine-More which has a great view of the hillside. The restaurant was closed but the bakery downstairs (Perera & Sons) was opened. 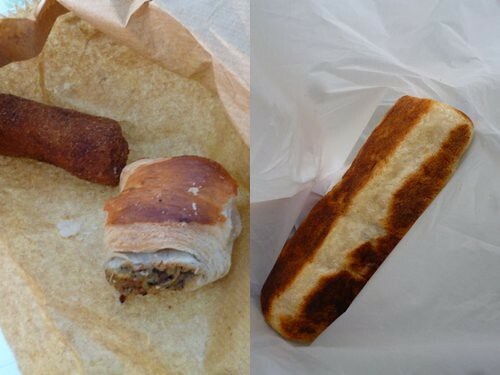 I bought a pastry filled with potatos and sardines. As I walked down the slope (there’s a lot more walking to be done), I spotted another bakery. This had indoor sitting so I bought two other fish pastries and a coffee. After devouring my pastries, I continued my walk to town. After checking Google Maps, I decided to risk getting lost and take a shortcut. The slope was even more challenging and I kept imagining myself tumbling down. Today was the Sri Lankan new year and a lot of families visited the Temple of the Tooth. I was glad to find not that many touts and fake-guides around, it’s good to know that they celebrate the new year too. 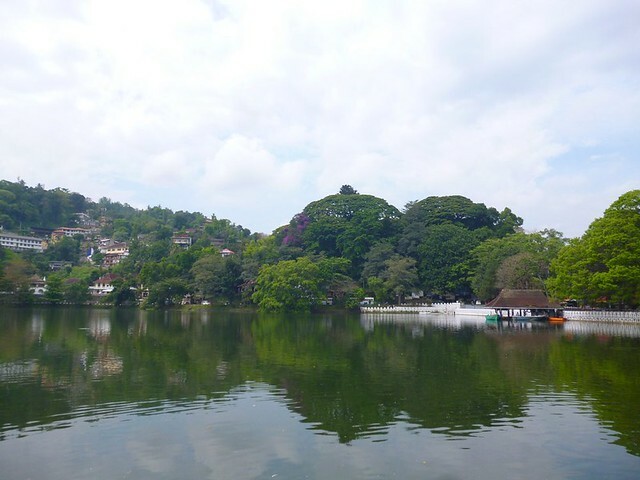 At Kandy Lake, next to the temple. I saw something strange in the water, it was swimming quite fast and looked like a plank. 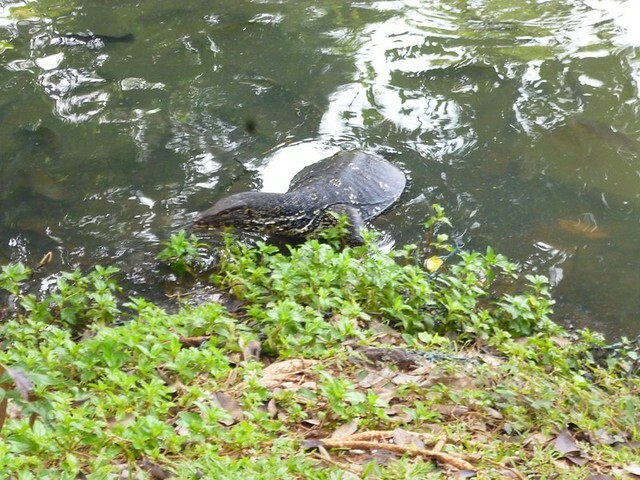 After walking a lot more, I spotted a great big monitor lizard. It looked like it had either swallowed a turtle whole or was pregnant. I decided that it was pregnant and wondered what this would mean if my life were a novel. 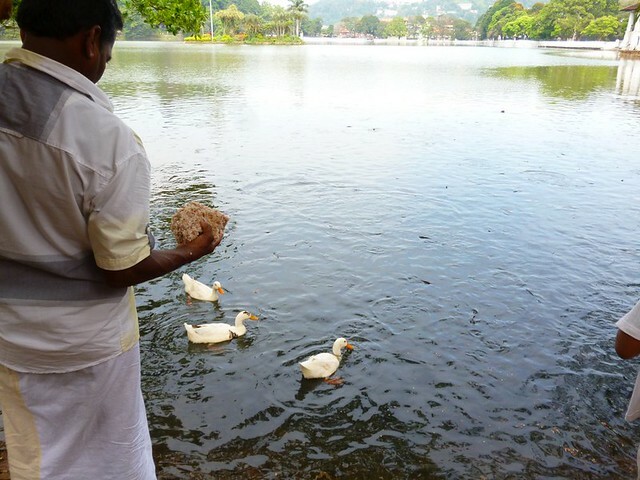 At the edge of the lake, very close to the entrance to the temple, a family was feeding the ducks and fishes chunks of rice. Maybe it’s a new year tradition. The animals seemed like they had too much to eat previously and weren’t fighting over the food. After a lot of walking, I headed back to the hostel. 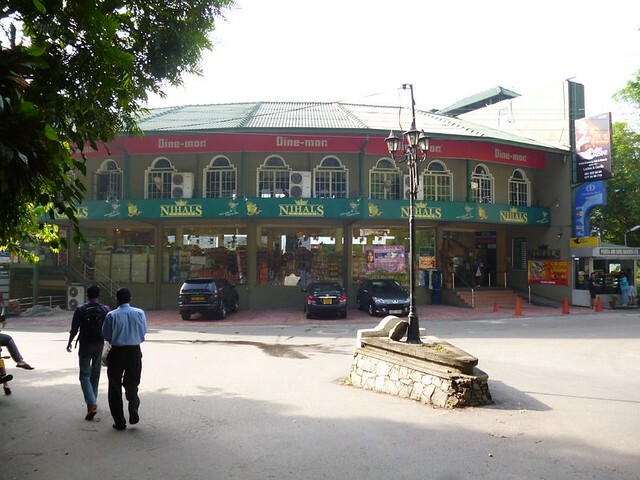 I stopped by the main Perera & Sons branch for a lunch of rice and curry. I walked all the way up the hill because I was too cheap to pay for a tuk-tuk. At least that was good exercise. I napped until it was time to leave for the dance. It was raining at that time. When I got out of the house, the rain fell even heavier. I decided to skip the dance and stay in my room. Good choice since lightning and thunder appeared later in the night. I sat on the floor of my room, typing and reading stuff from my Google Reader. Wonderful post! Be careful with the heat. 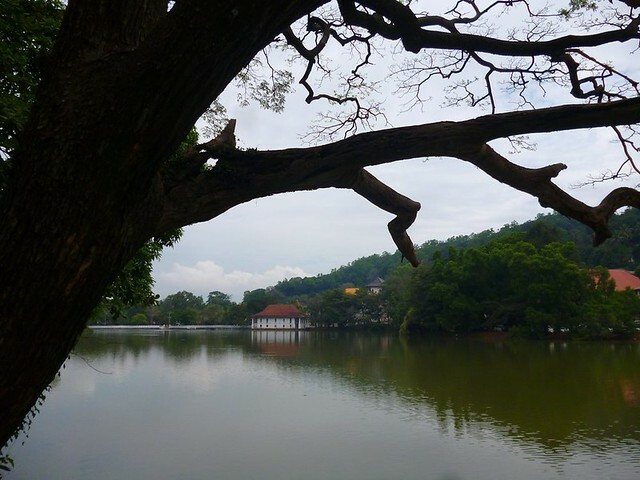 It affected me in Thailand and I probably shouldn’t have done as much while I was there.